Turning your tail light into a turn signal will eliminate your boring stock signal bulb and give your rear end a unique look. 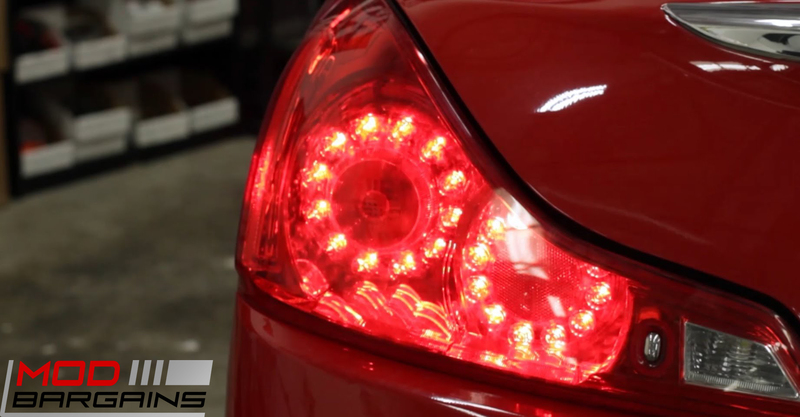 Converting your tail light LEDs to turn signals will give your G35 Coupe a much more modern and luxurious appearance. By using OEM connectors this is 100% plug and play. Installation is quick and painless, and takes less than 5 minutes. Changing out your stock turn signals will greatly enhance the appearance of your Infiniti G35 Coupe. The Tail as Turn Module eliminates your factory turn signals and will modify your LED tail lights to function as turn signals as well. 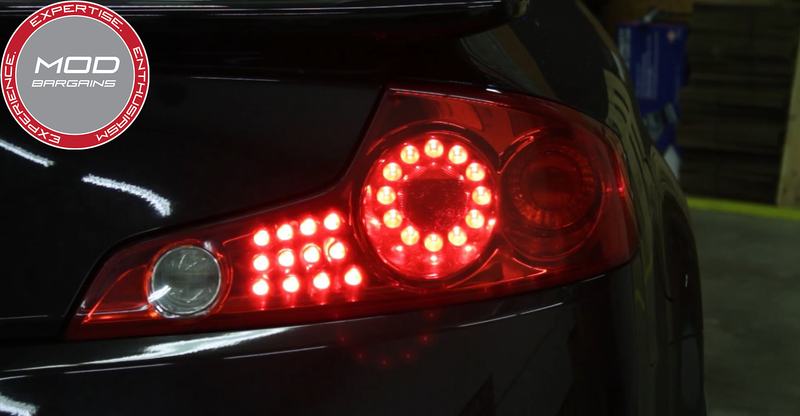 Using your tail light LEDs will make your vehicle stand out from the other boring stock ones, and those bright LEDs will look a lot better when they're being used as turn signals. Let your Infiniti stand out and be seen at night with a mod that will be sure to turn some heads. 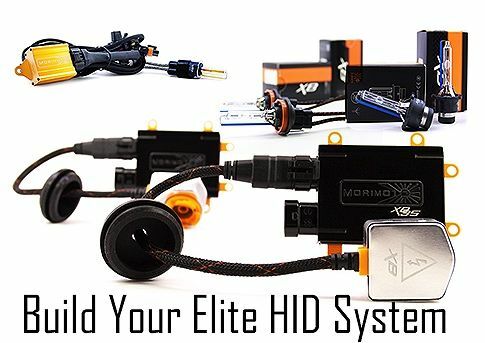 This super-easy to install mod is a direct plug and play module that uses OEM connectors so there isn't any modifications necessary. This install is quick and easy and can be done in less than 5 minutes. This module is used to only power LED tail lamps with a maximum two amp total power draw. This should not be used to illuminate incandescent bulbs. Please Note: Resistor kits will be integrated into each module, this means you will not have to tap into any factory wiring to eliminate hyperblinking.